Historic San Luis Potosí is known for its colonial churches and museums, as well as it’s booming manufacturing industry. 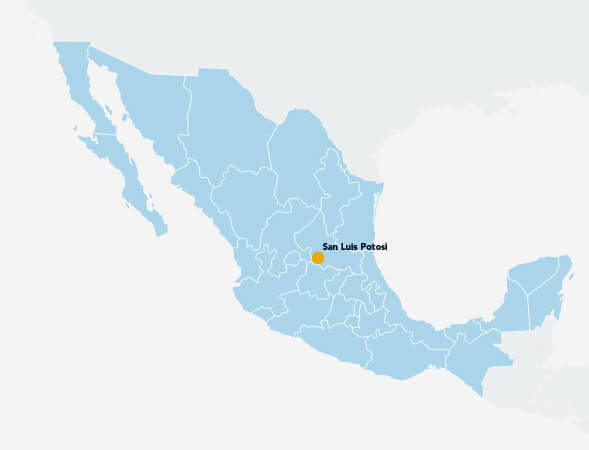 San Luis Potosí’s central location to major Mexican cities such as Mexico City, Guadalajara, and Monterey has led it to grow over the last 30 years. It’s regional universities and technical schools have produced a well-educated and skilled populace. It’s local international airport makes traveling simple and secure.